Angus is a quirky home deacutecor piece, created for those with a discerning eye for style. Resin-based and weighty, Angus is an item to lookout for and makes for an exceptional gift. Sturdy and eye-catching, the bulldog is great to decorate the home or office and will garner ample attention. Dimensions: L x H x W:16 x 9.5 x 8. Angus is a quirky home deacutecor piece, created for those with a discerning eye for style. Resin-based and weighty, Angus is an item to lookout for and makes for an exceptional gift. 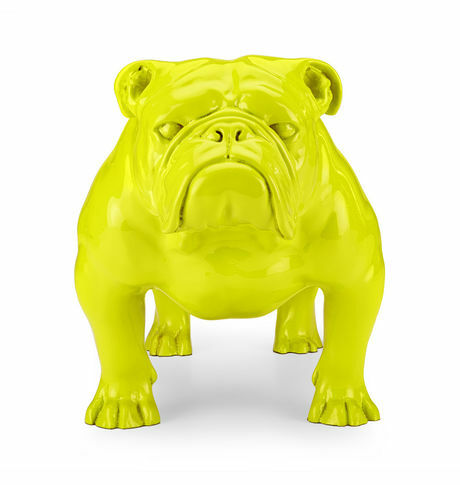 Sturdy and eye-catching, the bulldog is great to decorate the home or office and will garner ample attention. Product Description Material: Resin. Color: Pure Orange Glossy Finish. Dimensions: L x H x W:16 x 9.5 x 8. Weight: 8 kgs. Cancellation and Return Policy: • Exchange allowed post booking • No order cancellation or Refund transaction allowed at the store.